Lexmar USA understands that our success depends on providing positive experiences for our customers. Because customer service is our #1 priority, we dedicate ourselves to providing only the highest quality products available on the market today at the best prices. We pay attention to every detail, take into account the unique needs of each customer, provide superior workmanship, and communicate often with our customers so that the finished product not only meets their needs, but exceeds them. 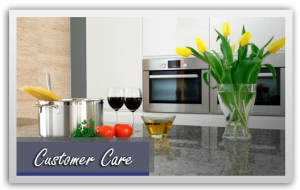 Whether it is a Granite Countertop, Quartz Countertop, Solid Surface Countertop, Shower Surround, or Kitchen or Bathroom Sink, Lexmar offers top-quality solutions at affordable prices, as well as providing first-rate customer service. Our professional staff is dedicated serving the needs of our customers, ensuring that the process of selecting materials is smooth, and our installation crews are experienced, well-trained professionals, with a unique knowledge of the process. Lexmar USA stands behind our products as well as our craftsmanship, and we strive to provide excellence in each and every project. Lexmar USA’s philosophy is to meet the unique needs of each individual customer, taking into account their personal style and taste, the nature of the project, and addressing any concerns they may have. Our philosophy holds true from our sales and support staff to our installers. The majority of our work comes from referrals from satisfied customers, and we are proud to be part of the Pittsburgh market! Contact Lexmar USA today or talk to your home contractor about using a Lexmar product in your home renovation. Lexmar USA is a McKeesport, Pa based fabricator of Granite, Quartz & Solid Surface materials. We also distribute Lexmar Quartz & Solid Surface products to fabricators, contractors, and other industry professionals. Our headquarters is based 20 minutes southeast of Pittsburgh and located at 627 Market Street in McKeesport. Below is just a sample of one of the many satisfied customers that Lexmar is proud to serve. For more feedback, check out our reviews page to hear what our customers are saying.